GENERAL SANTOS CITY - Gensan has been growing progressively with new businesses that are giving economic drive for the city. The “Tuna Capital of the Philippines” has become a magnet for many people, investments, and opportunities. These changes are re-branding General Santos into a highly-urbanized city. Because of the fast and constant progress, reaching that stage is inevitable. Being the beacon for investment and the hub for products and services coming from the entire Region 12, Gensan’s current state is perfect for these opportunities. Despite all of these, Gensan has never lost its taste for tourism and adventure. In fact, some of the best trail and climbs can be found in the city or its vicinities. Don’t be a stranger. Explore General Santos City. Start with Sanchez Peak, the highest point in the city. Rising about 800 feet above sea level, the Sanchez Peak offers a lofty and relaxing view of Gensan without even leaving the city. 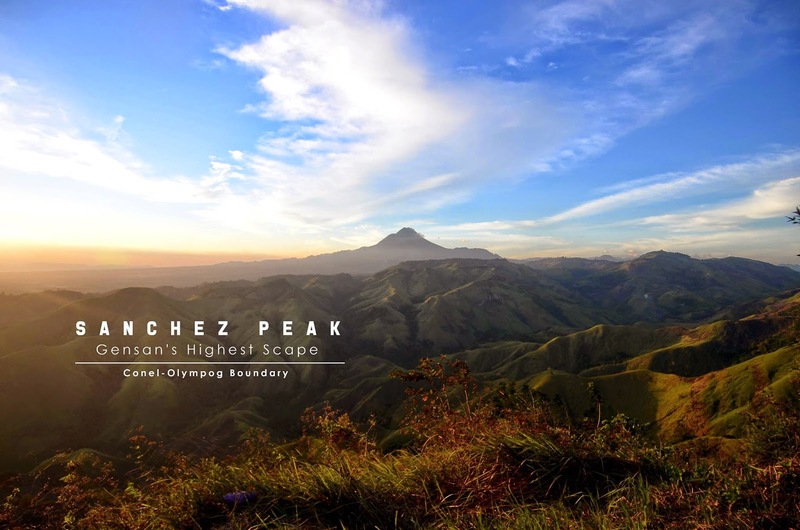 Sanchez Peak offers 360 degrees view of some diverse natural attractions that are surrounding Gensan. You have an unobstructed view of Mt. Matutum, Mt. Parker, Sarangani Bay, and some lower mountain ridges that surround General Santos City. Municipalities of Alabel, Malapatan, and the town of Polomolok are also visible up here. Sanchez Peak is located within the boundaries of Conel and Olympog, one of the few rural barangays in Gensan whose economy is primarily farming and other agricultural works. Residents here are very cordial and friendly; they will greet you with their signature, genuine Filipino smiles if ever you cross paths with them. There are two trails going up to Sanchez Peak: One is in Purok Balakayo in Barangay Conel and the other one—almost adjacent to the former—is the Purok Balsinang in Barangay Olympog. For starters, mountaineering experts would often suggest the Balsinang route. Even the pass’ terrain is steep, rocky, and ascending. The Balsinang entry is favorable because it has huge trees to shade you from the heat of the sun. Although not passable by any type of vehicle, the said route offers a good view of Gensan and nearby areas while trekking it. Beginners are also recommended to take Balsinang to practice their strength and stamina. Although the Balakayo route is passable by motorcycles or “habal-habal”, it is an open canopy area. That means that the pass has almost no trees to shield you from the sun. Another uncommon route to Sanchez Peak can be found in nearby Polomolok, which is behind the Olympog-Conel Mountain Ranges. Experienced mountaineers can traverse the Balsinang Route towards Sanchez Peak in less than an hour. But if you are climbing the peak for relaxation and leisure, you can pound the trail at your own pace. Take a rest under the tall coconut trees, drop your bags, and savor the cool, breezy air the place has to offer. Of course, you have to travel equipped with necessary mountaineering gears: tents, trekking apparels, water and liquid dehydrators, and food. The secret to Sanchez Peak’s serenity and peace is found in the idea that it is considered a hermit’s place -a beautiful place devoid of the most common of amenities but where nature and man can come to silently meet and reorient themselves with one another. The most suitable time to ascend is early morning, around 6-7am and mid-afternoon, 3-4pm, when there is a lesser battle with the scorching heat. When you reach the top, everything is silent except for the strong gushes of the wind. Why fly to Tagaytay or Baguio if you want to experience windy zephyrs and cool breezes? Sanchez Peak can offer that at a minimal expense. When you want a heavy meal, you can have an order of a whole native chicken—cooked whatever way you want—for only P250/kilo care off Manong Jun and Mising Sanchez - owners of Sanchez Peak. If you think you’re an experienced chef and confident in your cooking skills, you can buy the whole chicken at P180 per kilo. Manong Jun and Manang Mising also own a small, stand-alone store in Sanchez Peak where you can buy snacks and food. Eating while bonding with friends and families is the perfect way to pass a day here in Sanchez Peak. Holding a cup of coffee while enjoying the grandeur of nature is the perfect way to expunge all your stress and travails. Getting along with other hikers is also a nice thing to do. Up here, every individual has no trace of nuances. And in the stark height of Sanchez Peak, one of the best delights you can have is witnessing the gradual glowing of the city lights as the night takes over. The streetlights shine like a million stars that illuminate the city of Gensan. A romantic, gleaming testament that Gensan —throughout the years – has changed and improved. Leana Margarita Nitafan Diaz, a regular trekker of Sanchez Peak, brought her friends to hike with her. “It was a really nice experience to hike here. 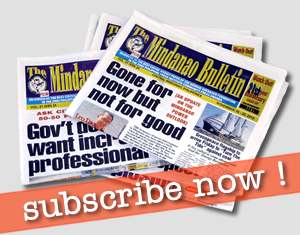 Even if it is just my fourth time here, everything seems new,” Diaz said. “I brought my friends here so that they can experience Sanchez Peak. I want to show them that the adage ‘no pain, no glory’ is true,” Diaz said. For her friends, going to Sanchez Peak have given them the chance of tasting the best native chicken delicacies. For other hikers, it means quenching their thirst with the coldest and “most delicious” water they have ever tasted. In the opinion of Manong Jun and Manang Mising, going to Sanchez Peak is the perfect thrill and adventure for city folk who love nature. “Many hikers are going here just to seek nature adventure. During holidays, summer breaks, and vacation, a quite number of people are going here for short excursion and voyage,” Manong Jun said. “In peak days, the number of hikers staying overnight here could reach 250-300,” he added. Manong Jun and Manang Mising oversee the maintenance and cleanliness of Sanchez Peak. Not business-minded in nature, they just want to take care of their precious property. They are also encouraging visitors to help them take care of the trails and the area. “Sanchez Peak is a land given by the native Blaans here to my father. It is a proof of their camaraderie and friendship,” Manong Jun said. Celebrations like Kalilangan can highlight Sanchez Peak as a piece of culture and history. Bonds and friendship between the Christians and Blaans were formed here. “Now, we are trying to preserve the neatness of the place; we always check the surroundings to pick dirt and garbage,” Jun followed. “We are also seeking the help of the local government unit of General Santos City for the maintenance of Sanchez Peak. “Of course, this (Sanchez) peak is the only treasure we can hand down to our children,” Manong Jun stated. City Mayor Ronnel Rivera has already expressed his support in promoting Sanchez Peak as a tourist destination. “Not all urbanized cities have this kind of landmark. Sanchez Peak is unique because the adventure and the nature that some people are just inside the city. In some other places, you have to go outside the city and spend more money just to experience an adventure like Sanchez Peak,” Mayor Rivera said. “This is the reason why we are trying to preserve the environment of and around the Sanchez Peak with the help of CENRO and Waste Management Office,” he added. Currently, boosting Sanchez Peak’s image to become a prime tourist destination is not being taken for granted. And as for every General or residents of Gensan: don’t be strangers in your land. Don’t leave and explore other places without even visiting the bounties teeming in Gensan.